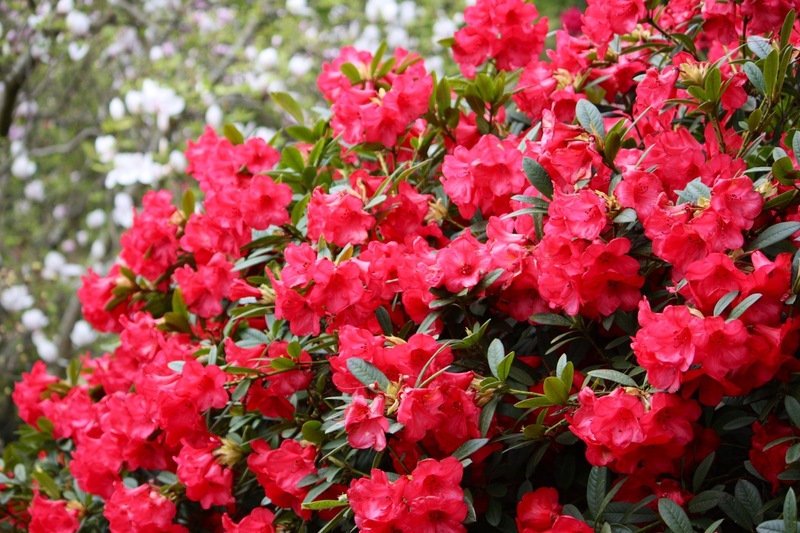 There are those that frown upon the lusty delights of rhododendrons, camellias and azaleas. I am not one of them. I expect these naysayers are the same folk who dislike orchids, with their similar flambuoyance and tendencies towards artifice. 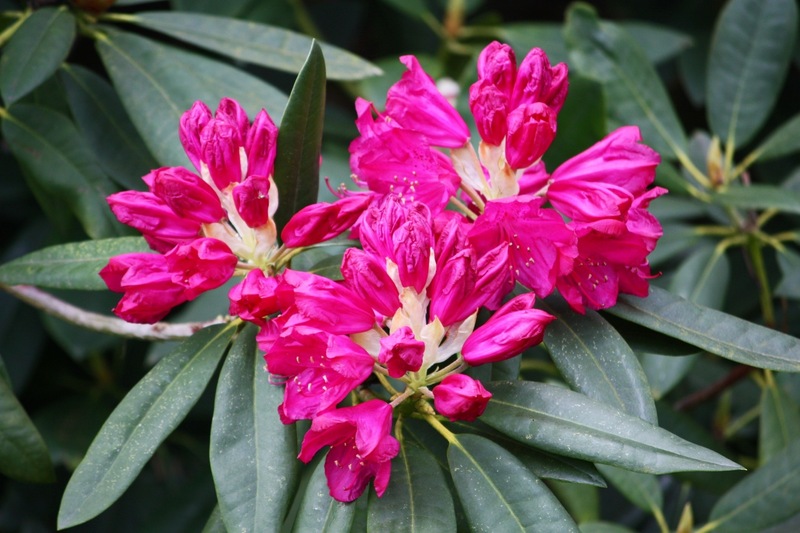 Yes, rhododendrons are big, bold and brazen, but they offer up colour aplenty in saturated hues of red, magenta and purple as well as blushing pinks, pretty primroses and sparkling whites. They are uncompromising, even in the wild as we experienced in Bhutan, but boy are they crowd pleasers. In celebration of their tremendous variety and flower power I have organised the images in this post into colour order, hopefully avoiding any nasty clashes. 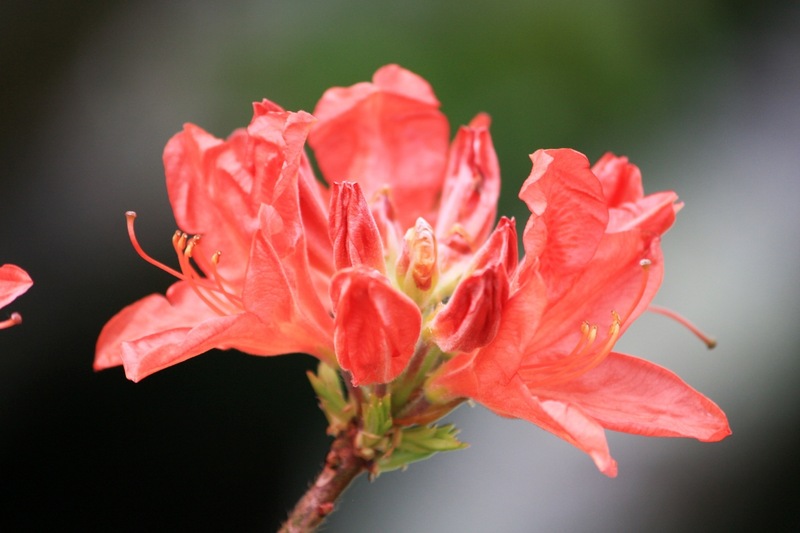 A Kurume azalea prepares to put on a show. It would take someone with a very hard heart not to be uplifted by the spring display at Sandling Park. 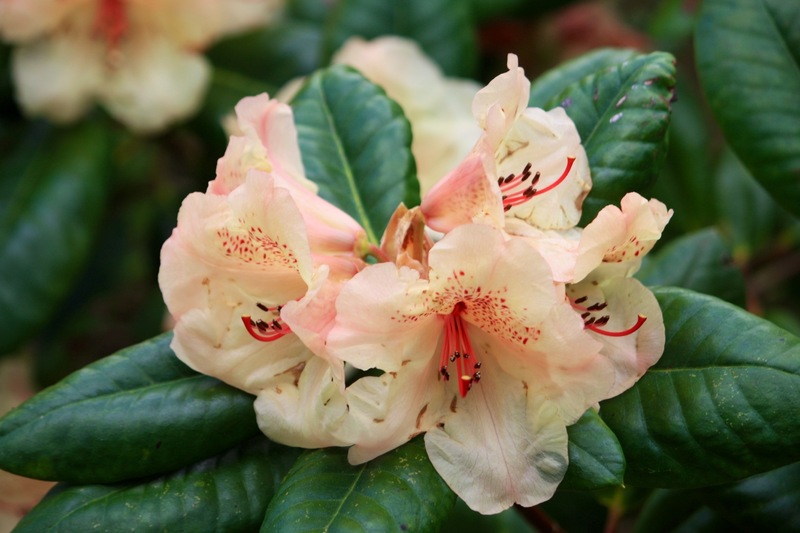 The gardens, which spread over 25 acres, are listed Grade II and are an absolute treasure trove of rhododendrons and azaleas. 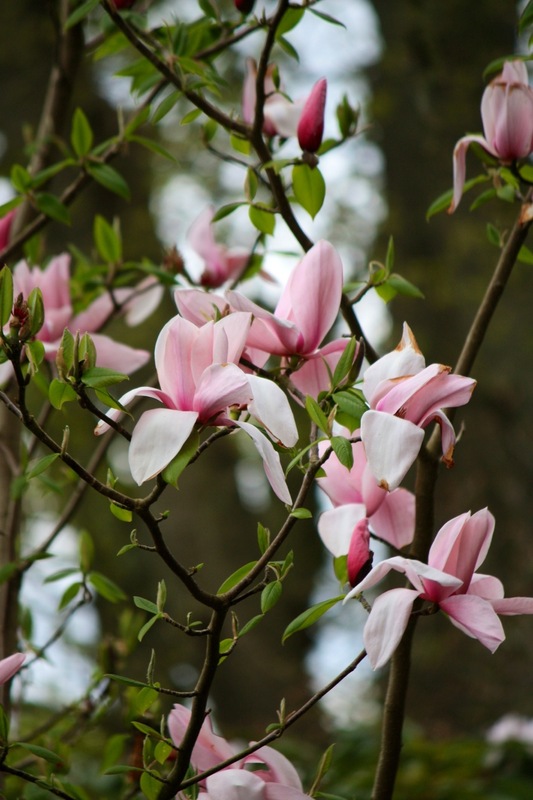 Sandling has one of the finest collections in the country, comprising 20 national champion trees, 200 wild sourced trees which retain their collectors’ numbers and the same number of magnolia species and hybrids. All in all an astonishing array of very fine plants. 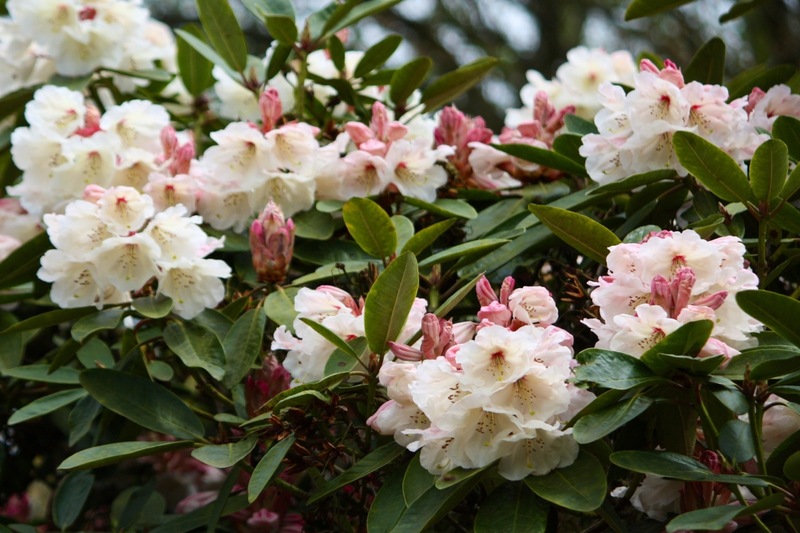 Sandling Park does not enjoy the picturesque surroundings of Cornish counterparts such as Trellisick and Glendurgan. There are no tantalising sea views here, but the gardens nestle very comfortably in woodland which was once part of the medieval forest of Westenhanger. 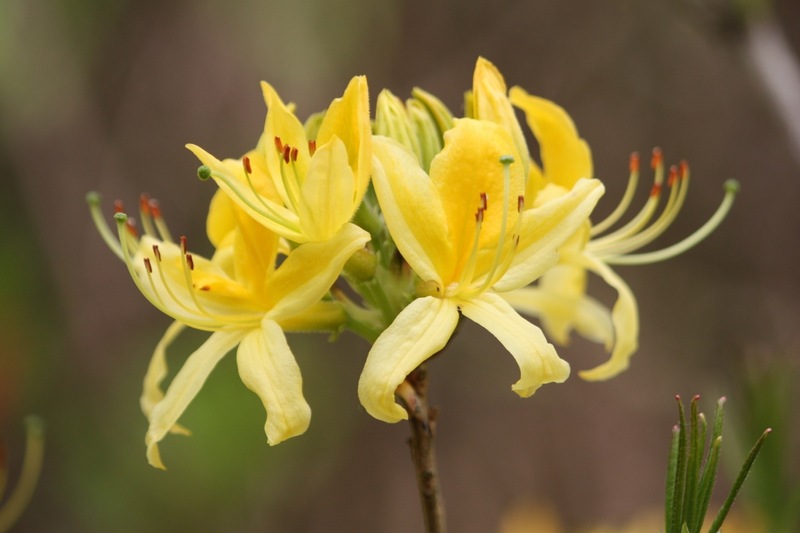 Acid soils are rare in this part of England, but a pocket of greensand, drained by natural springs, creates the perfect environment for this very special collection of plants. 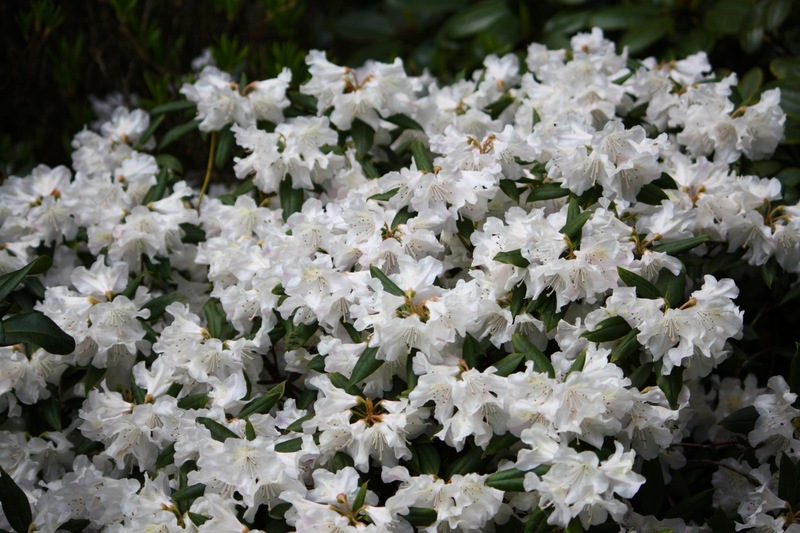 Although dominated by rhododendrons, magnolias, azaleas and camellias, Sandling has much more to offer, including narcissus, erythroniums, primulas and ferns. These were all in their prime, covering grassy banks and the many rivulets draining into a quiet valley. The many mature trees in the grounds include cedars of Lebanon and what I believe to be a form of beech with fine, delicate foliage, below. 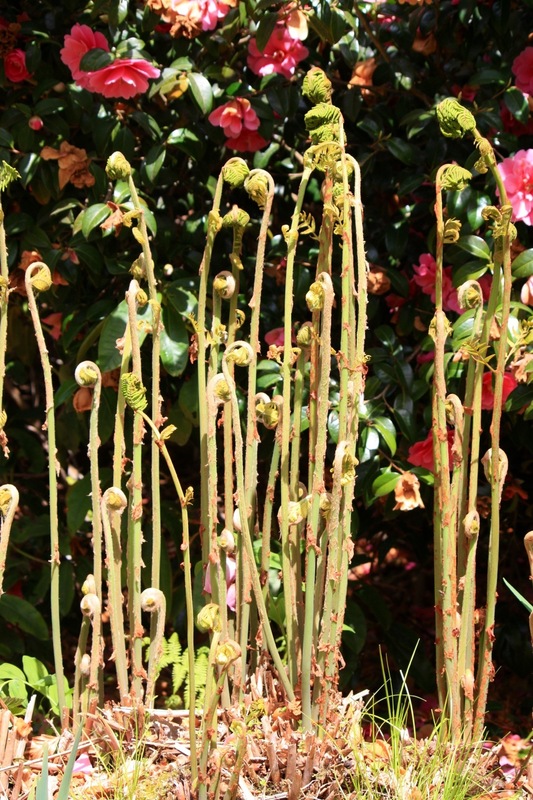 Clumps of the royal fern, Osmunda regalis, were so mature that they formed tufts almost two feet above the ground. An, as yet, unidentified beech. 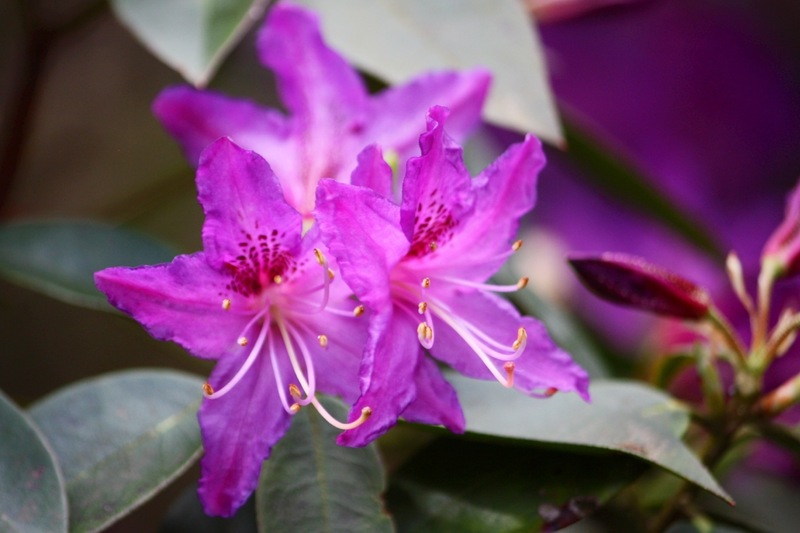 All the rhododendrons were showstoppers, held back by the cold spring and now flowering at once, but these violet blue ones were especially dazzling. 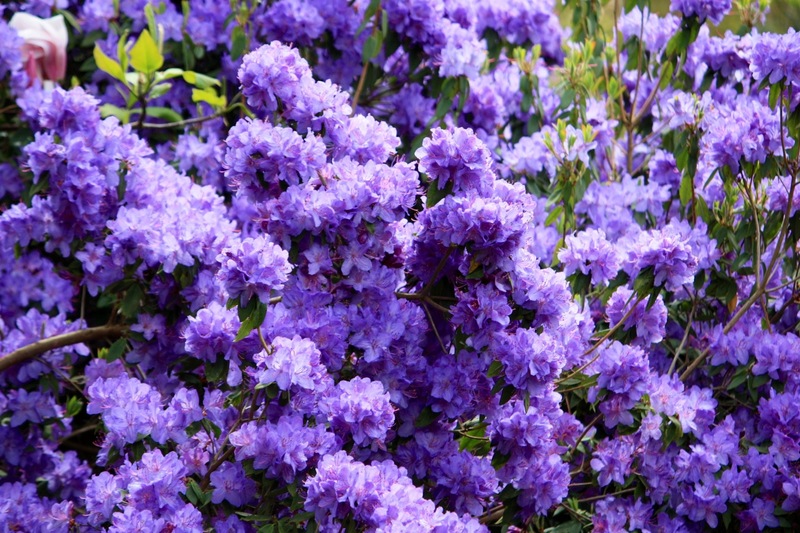 Several visitors commented that they almost looked as if they had been sprayed, so unusual was it to see flowers this colour. What you can’t tell is that they smelled as good as they looked. 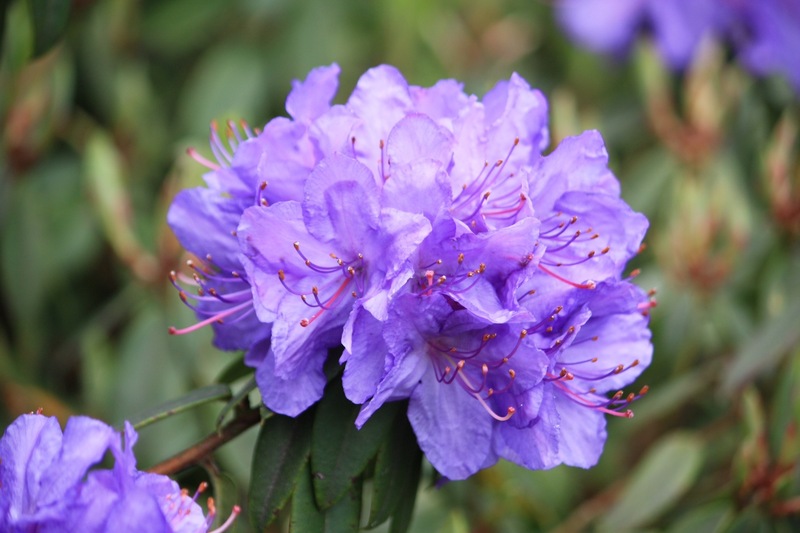 I’m guessing genuine rhododendron haters would have stopped reading by now, but if blue is a little bit too challenging for you, there were several hybrids with softer mauve or lavender flowers including R. ‘Contina’ and delicate R. augustinii. 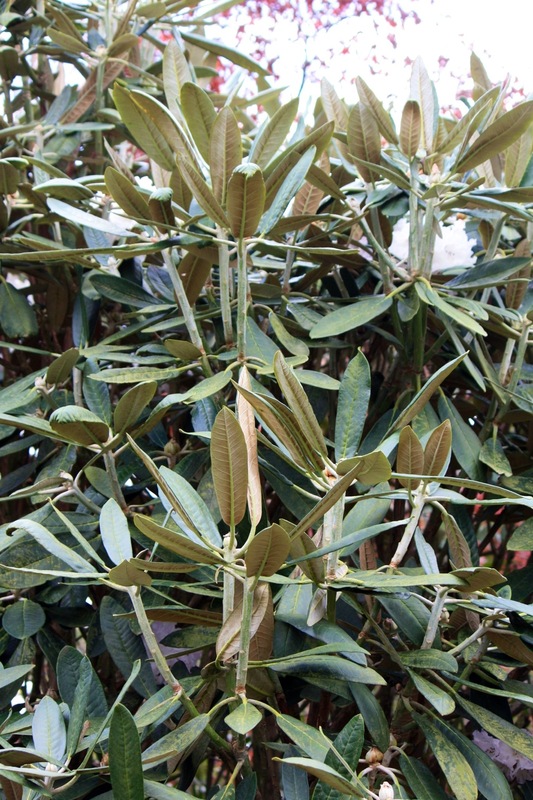 ‘Exbury Form’. The latter was so vast and spreading that visitors could walk straight underneath it. 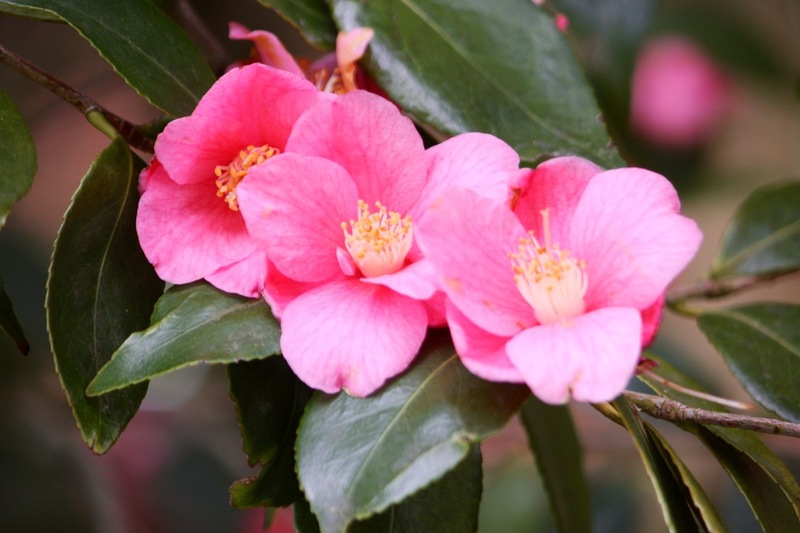 Pinks, of course, were not in short supply, many camellias still going strong. I have a slight preference for the single forms of camellia such as C. ‘Cornish Spring’ and C. ‘St Ewe’ and an aversion to any that hold onto their dying flowers. 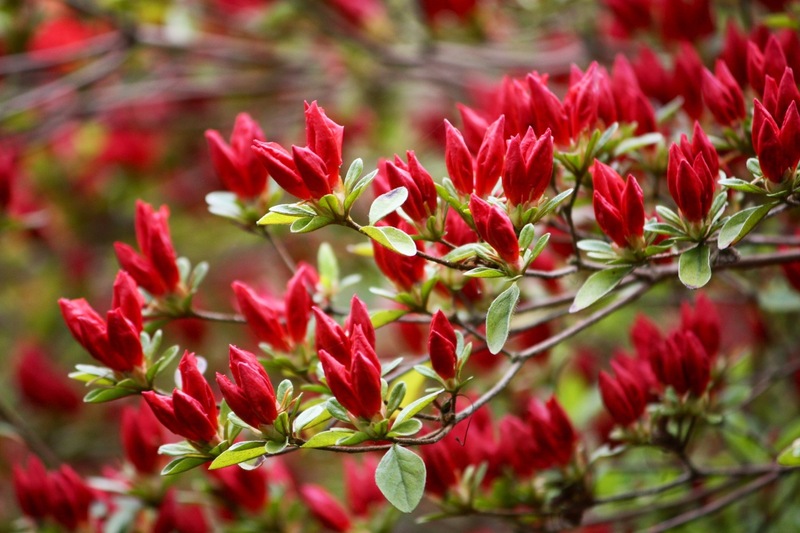 By rights the magnolias should have been over, but not this year. 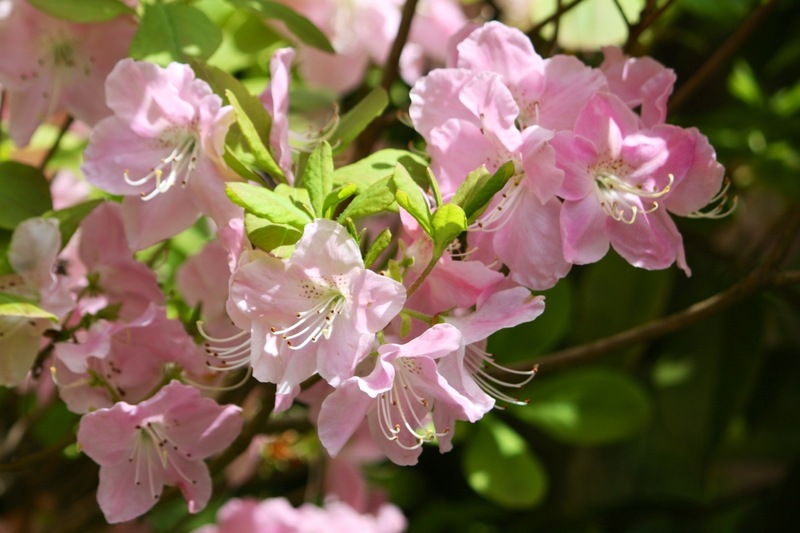 Amongst Sandling’s 200 varieties was this classic shell-pink number with large blooms. 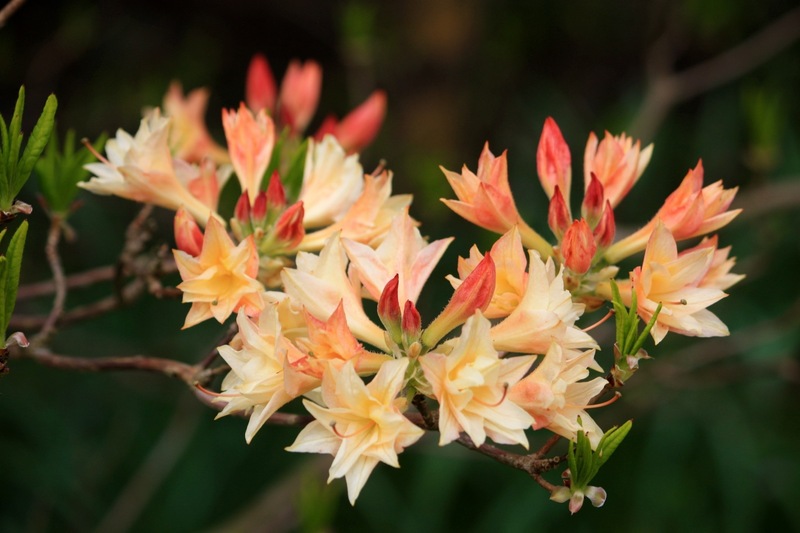 Alas, like many plants here, it was not labelled, but an effort is underway to identify and label all the garden’s treasures. 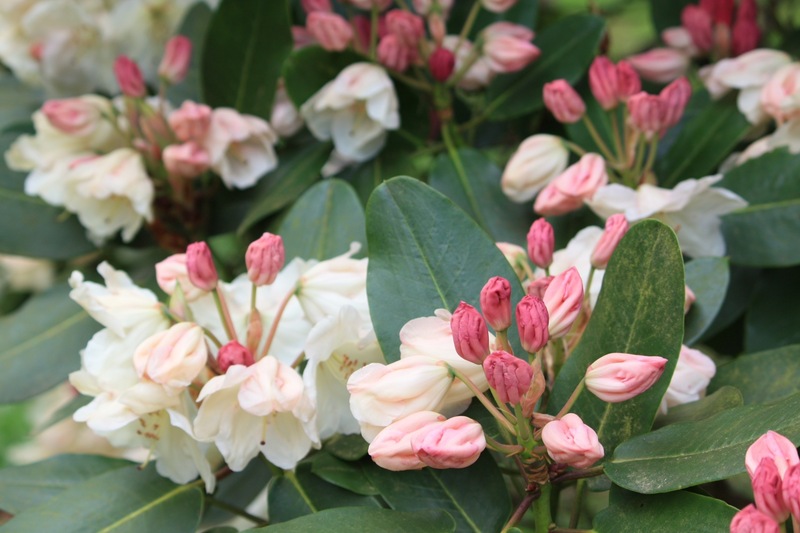 We come now to the luscious blush pinks, creams and sparkling whites, which are probably my favourites. 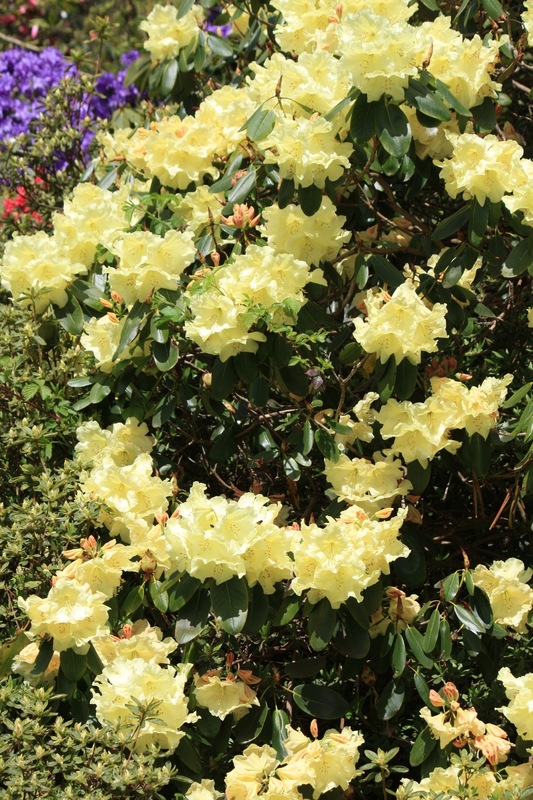 The stand-out plant for me in the whole garden was one Rhododendron ‘Rex’, alongside Pieris formosa the only shrub to stop us in our tracks because of its foliage. 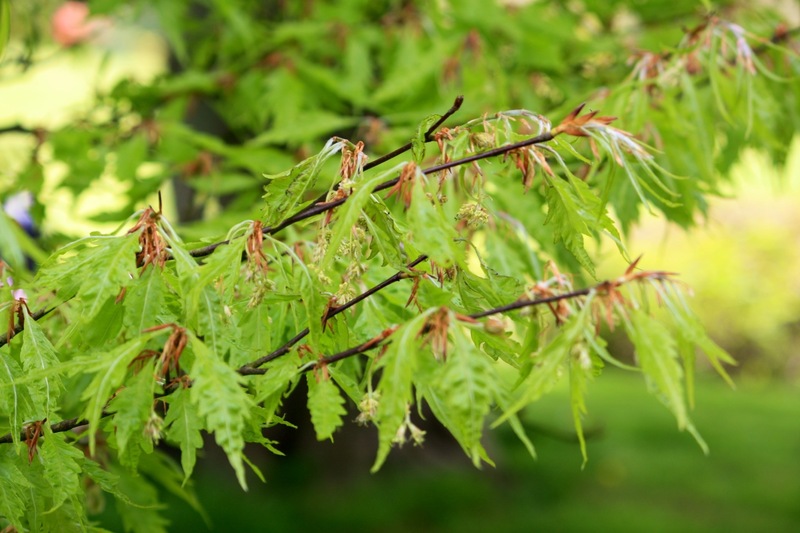 The leaves are deep green with a pale buff woolly ‘indumentum’ beneath. 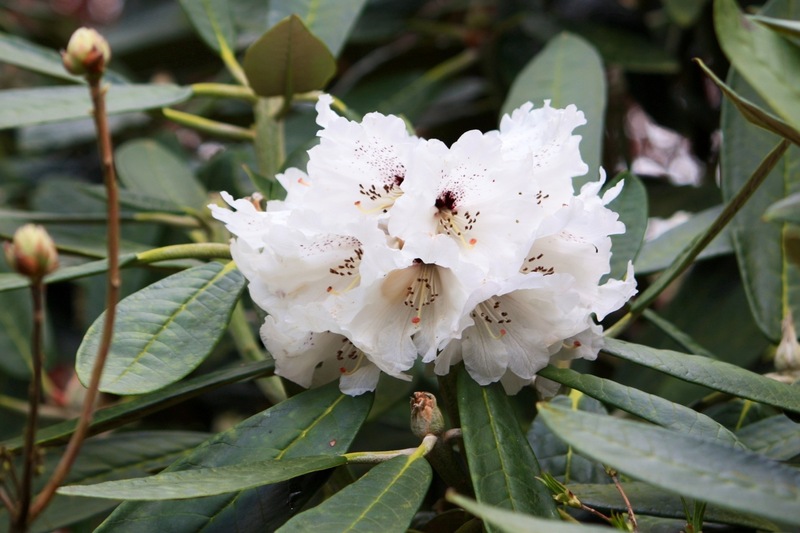 This gives the whole plant a slightly ghostly feel, but when studded with ice white flowers it’s easy to see why the Royal Horticultural Society have just awarded it the AGM. I hope you’ve enjoyed The Frustrated Gardener’s little whirl through the colour spectrum – it was tough deciding what to leave out, which is probably why this post has taken so long. I’ll feature many of the other plants at Sandling through Daily Flower Candy over the coming days. Meanwhile Sandling Park is open just once a year in aid of Pilgrims Hospices, so if you’re in the area, look out for the 2014 dates. 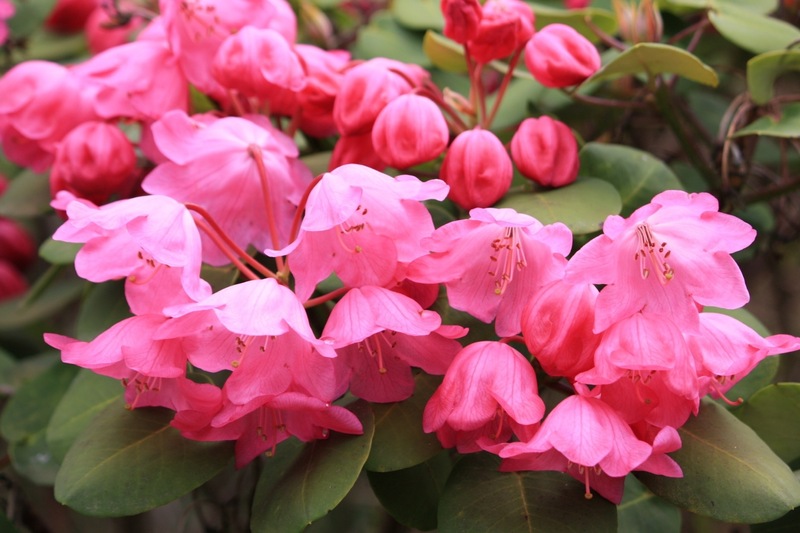 If you’re not a rhododendron lover, keep a very wide berth! I like the electric blue ones very much, hybrids or not. Do hydrangeas come into the same catagory as camellias and rhododendrons in terms of flambuoyance, only they are my favourite flower of all.